Dogs are great companions, you are never lonely with 6 dogs like us and this number increases as we are always rescuing dogs and don’t discriminate on age or pure breed and mixed. Having dogs around leads to lower levels of stress for both adults and kids. But did you know in children they also lower the risk of asthma and lowers blood pressure? 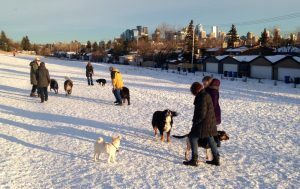 The most important health benefits are shown in these scientific papers by the Journal of Epidemiology and Community Health and University of East Anglia (UEA) which shows: dog owners are also significantly more active during the winter. They also found those dog owners sit down for 30 minutes less than non dog owners and walk a whopping 2700 steps more a day equivalent to 22 minutes of exercise but it is in Winter the health benefits are starker as dog walkers will go out in the coldest wettest darkest days. For the elderly, it is also the number 1 motivation to stay active. 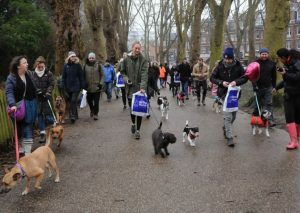 Keep it up dog walkers you are looking fit, as my children would say. Hi, I’m looking to rescue a pug. If you could please contact me on 07590 613809 that would be great.